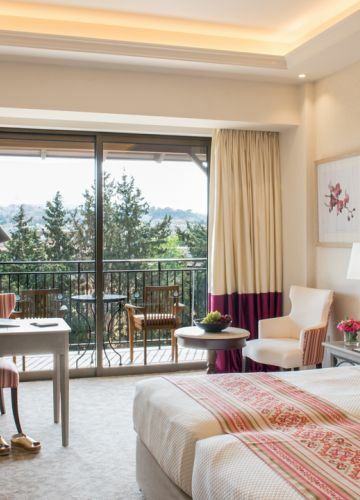 Boasting the advantages of a Mediterranean island like Cyprus, the Elysium is a perfect destination for all seasons. 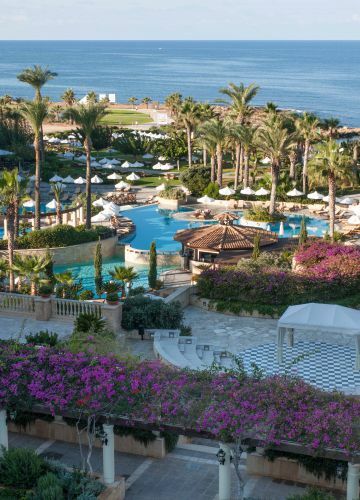 With its private beach, its unparalleled views and array of amenities, it is ideal for both a couple’s romantic getaway, and as a desirable venue for Cyprus weddings and anniversaries. 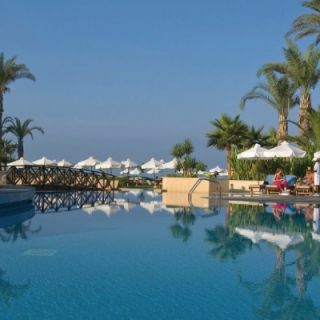 The Elysium is a multi-awarded, deluxe, five star hotel in Paphos, Cyprus. 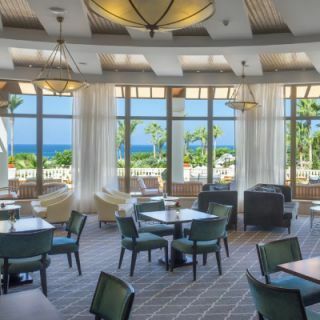 It boasts a world-class spa, as well as five exquisite restaurants serving the very finest international cuisine has to offer, two exuberant bars and a café. 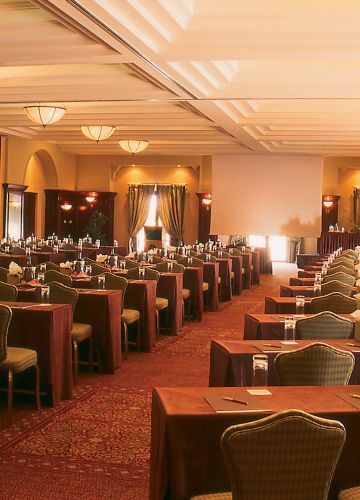 Furthermore, if offers comprehensive conference facilities including a spacious pillar-free multi-function hall able to accommodate 400 guests. A myriad of exclusive accommodation amenities including lavish rooms, suites and villas as well as overabundant leisure facilities such as indoor, outdoor and exclusive pools, tennis courts, scuba diving and personal training programs, offer an entirely incomparable experience to leisure and business visitors to Cyprus. 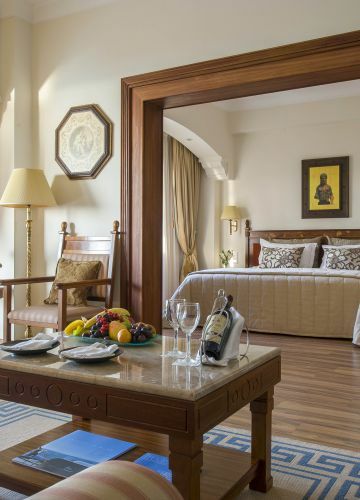 From Deluxe Suites and comfy Family Maisonettes to Royal Studios and stunning Garden Villas, expect nothing less than a world-class luxury accommodation in one of the finest Cyprus hotels. 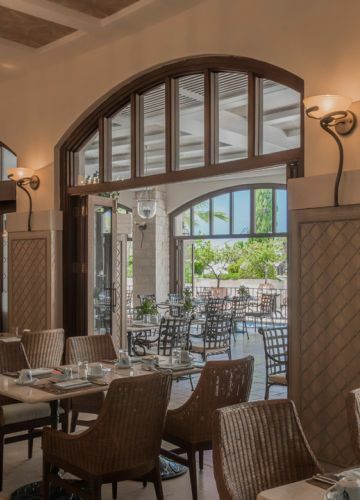 Our supreme blend of restaurants, bars and café are designed to turn any occasion into the most unforgettable event, offering probably the finest international cuisine amongst what the best hotels in Cyprus have to offer. Relax, unwind and indulge your senses. We are delighted to offer you the best spa treatment combinations of all the hotels in Paphos. Experience our Hotel’s ESPA range of therapies and create your own epic spa journey. 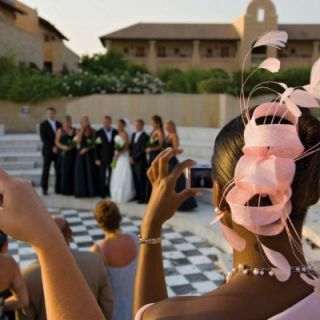 A picture perfect location, dedicated wedding specialists, in house florist, state of the art wedding cocktail reception. What better place to celebrate the most memorable day of your life? At our 5 star hotel you can have the wedding day of your dreams. 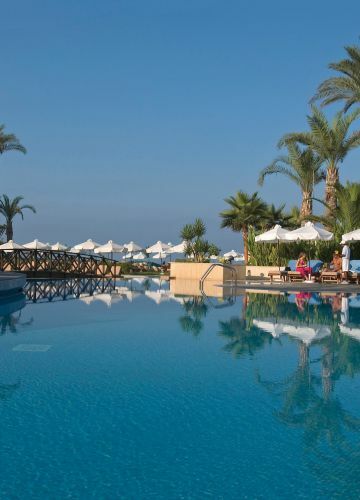 Between the sea, the sun and the pool, dare to do everything you always wanted to do. Our Hotel offers some of the most irresistible Sport & Leisure activities available in any hotel in Cyprus, suitable for any age or style. Open exclusively to adults over 16 years of age, our Royal Sunken Pool is your ultimate escape. A bonus feature of the Megaron and offered solely to our five star Hotel’s Royal Studios and Royal Garden Villas privileged guests. Enjoy it!